Pedro Pascal on Game of Thrones. He had his head crushed by the Mountain and now he’s signed up for some Wonder. 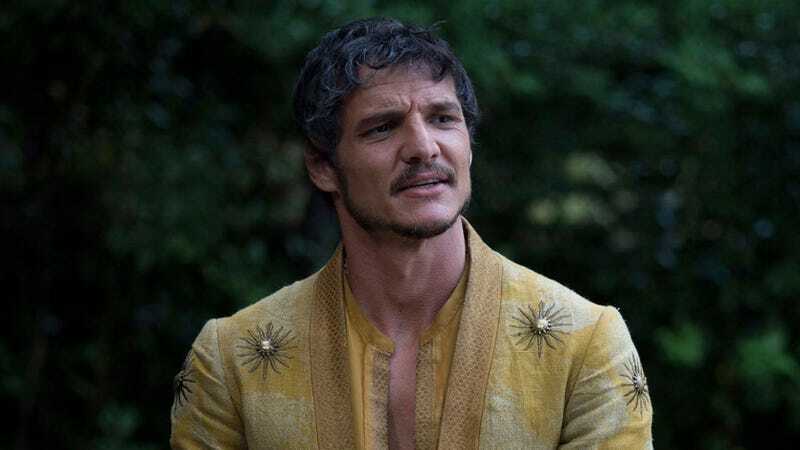 Variety reports that Pedro Pascal, best known to fans as Oberyn Martell on Game of Thrones, has just landed a key role in Patty Jenkins’ Wonder Woman 2, which will be released November 1, 2019. The role is a mystery at the moment—mainly because almost everything about the film is a mystery at the moment. We know that Kristen Wiig will play Cheetah opposite Gal Gadot’s hero, and we believe the film is set in the 1980s, but really that’s about it. Pascal was recently seen as a key player in Kingsman: The Golden Circle and is one of the stars of Netflix’s hit show Narcos. In the much-anticipated DC sequel, he could be a hero, like on Game of Thrones—or a villain, like many of his other projects. Please speculate wildly as to whom he could be playing in Wonder Woman 2 below.